Central HS grad was named to the ISSC All-Conference team, All-Region IV Team in 1997 and 1998. 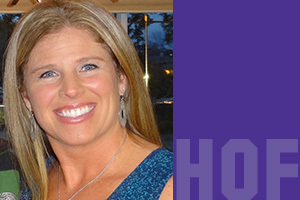 She also garnered NJCAA All- American honors in 1998. She was a member of the first MCC volleyball team to qualify for the NJCAA national tournament in 1998. Following graduation at MCC, she attended and played at NIU. She has coached club volleyball at Sky High for 4 years, Fusion for 4 years and Prairie Ridge HS for 5 years. She currently resides in Woodstock with her family.